In the wake of Pablo Honey and the demon-child hit that was “Creep“, Radiohead were a talented band looking for a rudder. As Jonny Greenwood trundled out his electronics kit and Thom Yorke located further phobic recesses in his brain and voice, they found it. Ultimately the guitars were still big on The Bends—no Radiohead song before or since rocks harder than “Bones”—but there were also flecks of blippery that dramatically prefigured the band’s later machine-fantasia period. Yorke, meanwhile, filled the record with some of his most cutting, beautiful imagery—a million bubbles bursting, a good angel with an Ansaphone, a cracked polystyrene man. Unifying the snarly brood of the “My Iron Lung” sessions with the dreamlike clarity that would drench OK Computer, The Bends didn’t just cycle Radiohead out of the middle, it began their arc to true greatness. “Planet Telex” opens things with a strong My Bloody Valentine reference, processed guitars aswirl. Following promptly is the free-associative, radio-banging title track, the only song that sounds remotely dated; its last moments are the last the record spends squarely in the present. After it the album pitches solidly to another reality. Yorke sings the record in varying stages of emotional undress: he’s supremely sore on “Planet Telex”; severely hungover for “Nice Dream”; hyper and a little perverse on “Just.” Check out the way he conveys utter exhaustion by dragging the words “race…race…raaaace” through the mud at the end of the title track, and how he illustrates the skewed spelling of “krippled and kracked” (you can hear the k’s) in “Bones.” Throughout it seems as if he’s recovering from a recent case of the snuffles, particularly on “Nice Dream” when he sounds like he’s just slept for 12 hours. Of course the big set piece is the surreal, sublime “Fake Plastic Trees,” which would remain Yorke’s best lyric until “Pyramid Song.” Lacking a real rock ‘n’ roll construct, it’s like a folk song from a galaxy far, far away, vacuuming between a single pinpoint of guitar and gales of electronic space. 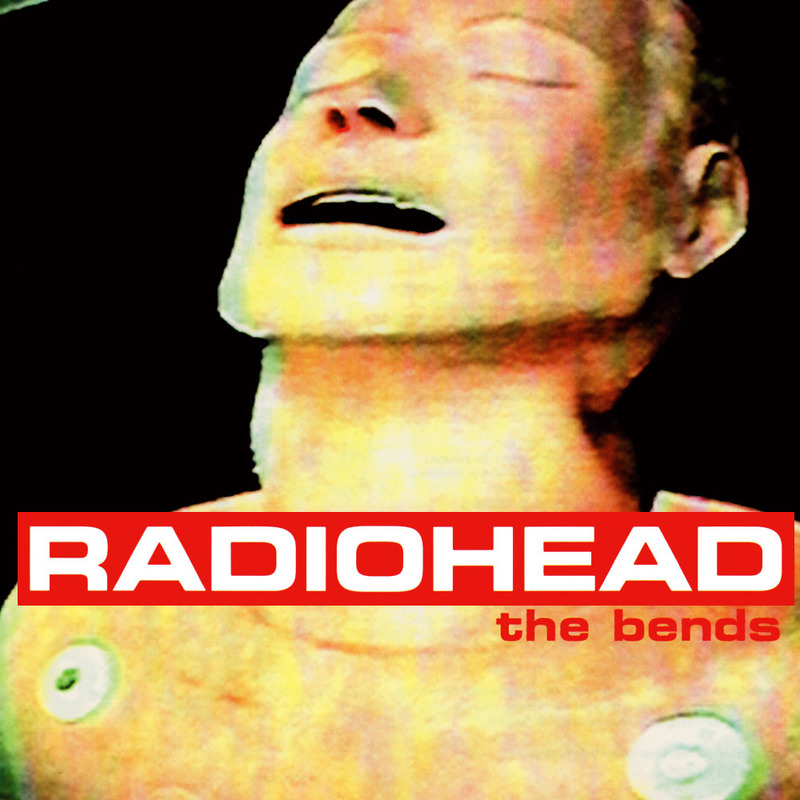 There are two songs on The Bends that get skipped more than most others in the Radiohead canon. The first is “High & Dry,” an admittedly cheesy pop song stranded between the basement roar of the title track and the sleazy elegia of “Fake Plastic Trees.” Full of flattop chunk and lacking a proper chorus, it doesn’t hold up technically but Phil Selway, still groping his way as a drummer, ties into the acoustic groove with fire and simplicity. 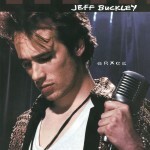 The second is “Sulk,” slotted between “Black Star,” Radiohead’s first-ever take with Nigel Godrich, and “Street Spirit (Fade Out),” the most rousing in their string of intricate close-of-album comedowns. They haven’t played it live for years but there’s a reason Zach Braff wanted it for the airport climax of Garden State (there was a licensing issue). “Just like your dad/you’ll never change” could be a petulant kiss off to a rebellious child, not a lover; “you are so pretty/ when you’re on your knees/disinfected/eager to please,” meanwhile, recites another scenario entirely. If you get the urge to skip this one, don’t. It makes the wait for “Street Spirit” all the sweeter. Another slightly misunderstood piece is “Bulletproof…I Wish I Was” which isn’t quite the suicide solution it’s been construed as. I’ve always thought of it as Yorke v. his critics, of which there were significantly more back in the day. Lines like “wax me/ mold me/ heat the pins” and “pay me money and take a shot” aren’t morose, they’re defiant. Elsewhere the guitar work, independently recorded and blended with the final mix, acquires a Sundays-like dreamcoat, immersing itself in love, three songs before the famous final line. Purchase this album here to help support our site.